First Impressions are key to creating interest that translate into results. With over 80% of buyers viewing homes on the internet, now more than ever before, it is important to make a fantastic first impression. The Dave Roach Team is supported by a team of professionals enabling us to do things differently….for your benefit! Lynda Schmidt is an accredited staging consultant with over 30 years experience who helps you get your home “show-ready” by providing a 1 – 2 hour consultation. Lynda will provide you with a prioritized & itemized checklist so you can work through her suggestions to get your home in optimal condition. Regardless of the size, location, condition or price of your home; creating an unforgettable visual presentation is what home staging is all about—it may mean the difference between a quick sale or your property languishing on the market. It may also mean the difference of getting your asking price or having to compromise on the price you were hoping to receive. If a picture is worth a thousand words, then providing a picture portfolio of your home to potential buyers that clearly shows room dimensions, and features of your home – both inside and outside – is invaluable. Susan Arness, an experienced local photographer with over 6,000 homes contributing to her photography resume, has the unique ability to capture your home’s features in its best light. She understands the importance of getting quality photos that show room sizes, dimensions and decor to potential buyers that are viewing homes on the internet, print publications and virtual tours. A full home inspection reviews the condition of your home prior to placing it on the market and will give you a better understanding of its condition, which could be discovered by the buyer’s inspector. Additionally, it gives you an opportunity to make repairs that will put the house in the best selling condition. 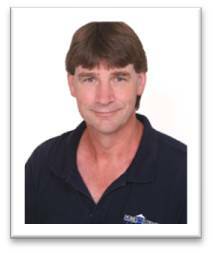 Ralph Kors is a Registered Home Inspector with many years of experience in residential home inspections. He takes the time to explain his findings to his clients and provides valuable suggestions on how to correct problems that are discovered during inspections. Getting your financial house in order is equally important whether you are selling your home or buying. As a dedicated mortgage professional with 25 years experience in the industry, Barry Patchett has assisted thousands of families to achieve their dream of home ownership. Barry’s goal is to make your mortgage experience simple, straight forward and stress free.Barry’s breadth of knowledge in the constantly changing mortgage business and local real estate market helps provide workable solutions tailored to achieve my client’s financial goals. Barry prides himself on providing professional advice with a very high level of customer service. Scott McMillan joined The Co-Operators after several years in the financial services industry. He was drawn to The Co-operators by the co-operative model that puts clients first. Scott is licensed to help clients with their home and life insurance as well as their investments. He works to get clients the information they need to make great financial decisions. Scott takes the time to listen to his clients to fully understand their individual goals and needs. Together they design a personalized solution that encompasses their ideals, budgets and long-term goals. Scott’s clients value his attention to detail and his responsive service.